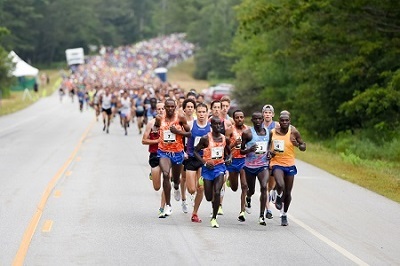 CAPE ELIZABETH, Maine (July 16, 2018) – The 21st running of the TD Beach to Beacon 10K on Aug. 4 will feature Maine native Ben True, the 2016 champion who finished second last year, and Olympian Molly Huddle, the American recordholder at 10,000m and the half marathon who is making her debut in the iconic summer road race. The two Americans headline a talented field of 46 professional runners that also includes U.S. Olympic gold medal triathlete Gwen Jorgenson, two-time U.S. Olympian Lopez Lomong, Ethiopian Buze Diriba, Kenya-based New Zealander Jake Robertson, 2012 TDB2B champ Stanley Biwott of Kenya and a host of other Olympians, All-Americans and rising stars from East Africa. 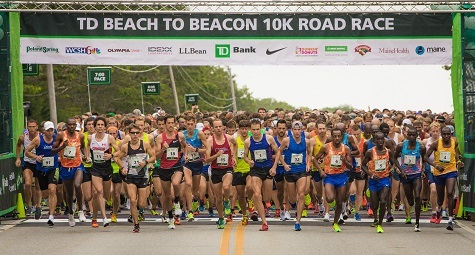 Race organizers on Monday unveiled the elite field for the 2018 TD Beach to Beacon and announced that the race will again feature an Elite Women’s Start, which debuted in 2016. The women will start 12 minutes ahead of the rest of the field. The reigning champions, Kenyans Stephen Kosgei Kibet and course recordholder Mary Keitany, will not return to defend their titles. The world-class athletes will join a race day throng of 6,500+ runners who will wind along the fast, relatively flat course that begins near the Crescent Beach State Park entrance on Route 77 in Cape Elizabeth and ends 6.2 miles later in Fort Williams Park at the Portland Head Light, the most photographed lighthouse in America. The elite athletes will compete for a slice of the $90,000 prize pie, with $10,000 awarded to the winners in the men’s and women’s open races and payouts to the top 10 runners overall, courtesy of title sponsor TD Bank. Also included is a $23,000 purse for American men and women, sponsored by Dunkin’ Donuts, split evenly among the top five American men and women with a $5,000 top prize. Ben True earned both top payouts – $15,000 in total – in 2016 when he torched the field (28:16) to become the first American to win the race. He fell just short of defending his title last year, finishing a close second (27:56). True, 32, a North Yarmouth native and former Greely High School and Dartmouth College All-American, would like nothing better than to reassume his place atop the podium. This will be his ninth run of the Cape Elizabeth course. He won the Maine resident title twice, in 2008 and 2009, when he set the course record in that category. 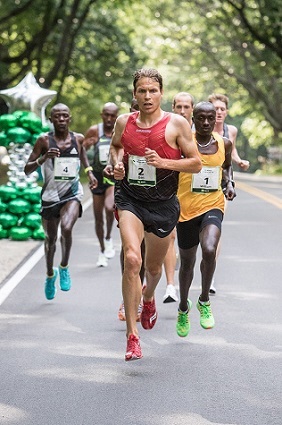 True returned as a professional in 2014 to place 3rd with his best time, 27:50 – the fastest road 10K by an American in 29 years. (Bernard Lagat set a new record in 2015 in England). True, who holds the American 5K record (13:20), is in good form. In March, he debuted in the half marathon in grand style, becoming the first American ever to win the prestigious NYC Half. True placed 2nd at the 2018 BAA 5K in April. True is likely to face a stiff challenge from Jake Robertson, 28, who made headlines 10 years ago when he and his twin brother, Zane, then 17, decided to skip college and instead move from their native New Zealand to live and train in Kenya, where they still live. The decision is paying off as Zane competed at the 2016 Rio Olympics and Jake is now coming into his own as one of the top distance runners in the world. In January, Jake Robertson won the Houston Half Marathon (60:01) in one of the strongest half marathon fields ever assembled on U.S. soil. He followed up that performance by setting the New Zealand marathon record at the Lake Biwa Marathon in Japan, and breaking the 10,000m national record mark as well (27:30.9) while placing 5th at the 2018 Commonwealth Games. Robertson also won the 2018 Crescent City Classic 10K title in New Orleans in an eye-opening 27:28. 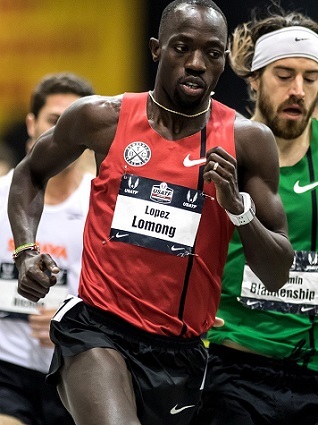 Another contender is Lopez Lomong, 32, a two-time U.S. Olympian who won the USATF 10,000m title in June, marking a resurgence in his career. Lomong is one of “The Lost Boys of Sudan” and became a U.S. citizen in 2007. A year later he served as flag bearer as a member of the 2008 U.S. Olympic team. He also competed at the 2012 Olympic Games, finishing 10th in the 5000m. The field also is bolstered by a pair of teenagers from East Africa: Maxwell Rotich, 19, of Uganda, who blazed a 27:22 to win the 2018 Rio 10K, the third fastest 10K so far in 2018; and Amdework Walelegn,19, of Ethiopia, who already this year has wins at the Istanbul Half Marathon (59:50) and the Laredo 10K in Spain, where he clocked a 27:37. 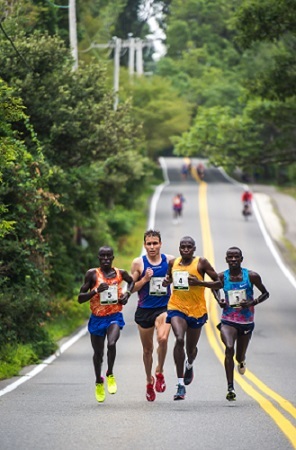 Other runners eyeing podium spots include Stephen Sambu, 30, of Kenya, who finished 4th at the TD Beach to Beacon last year (28:16) and has wins at the 2016 NYC Half Marathon and 2014 BAA 10K, in a career best 27:25; Tariku Bekele, 30, of Ethiopia, the bronze medalist at 10,000m at the 2012 London Olympics; Callum Hawkins, 26, the Scottish half marathon record holder (60:00) who finished 9th in the marathon at the 2016 Rio Olympics, 2nd at the 2017 NYC Half Marathon and 4th at the 2017 World Championships marathon, equaling the best ever performance by a British runner in the event; Stanley Biwott, 32, of Kenya, the winner of the 2012 TD Beach to Beacon (27:59) and 2015 NYC Marathon who recorded the 14th fastest time ever (2:03:51) at the 2016 London Marathon and also is top 20 all-time in the half marathon (58:56); Shadrack Biwott, 33, the Kenyan-born American finished 3rd at the 2018 Boston Marathon; Chris Derrick, 27, three-time USATF Cross Country champion coming off win at 2018 USATF Half Marathon Championship; and the ageless Abdi Abdirahman, 41, a four-time U.S. Olympian with top-10 performances in each of the past three TD Beach to Beacons and a 3rd at the 2016 NYC Marathon. In the women’s division, American Molly Huddle once labeled the TD Beach to Beacon a “bucket list” race for her. But when she makes her debut in Cape Elizabeth on Aug. 4, she’ll be looking to do more than tick a box. Huddle, 33, a two-time Olympian who has been a U.S. national champion 25 times across various distances on the roads and track, will have her sights on a podium spot against a fast, talented field with as many as 12 athletes who have run under 32 minutes on the road or track. Huddle, who lives and trains in Providence, R.I., holds numerous American records. In 2016 at the Rio Olympics, her 30:13.17 in the 10,000m shattered Shalane Flanagan’s mark from 2008 and placed her 6th overall. In January of this year, she set a new American record at the Houston Half Marathon with a 1:07.25, breaking Deena Kastor’s 12-year-old mark. In March, she didn’t set a record, but Huddle won the USATF 15K Championship (47:50). Her career best 10K is 31:21 at the USATF 10K Championship in Boston in 2015, an American record for an all-women’s race. Huddle, who also holds the American 5K and 12K records, placed 3rd at the 2016 NYC Marathon in her debut at that distance, and has won the NYC Half Marathon three times, most recently in 2017. Huddle will face still competition from a number of skilled international runners, led by Caroline Chepkoech, 24, of Kenya, who is familiar with the course after a third-place finish in 2016 (32:03). Last year, she ran a personal best 30:45 at a 10K in Great Britain and also won her second straight Falmouth Road Race. Chepkoech also has recorded three sub 1:07 half marathons over the past 18 months, with a personal best 1:05.07 – the sixth fastest time ever – in February at the RAK Half Marathon in the UAE. Buze Diriba, 24, of Ethiopia, is one of the top runners on the circuit in 2018 at a range of distances. She has wins at the NYC Half Marathon in March, the Cherry Blossom 10-Mile in April and, a week later, she retained her title at the BAA 5K in Boston. Diriba placed 5th in a tight finish at the Utica Boilermaker 15K earlier this month. 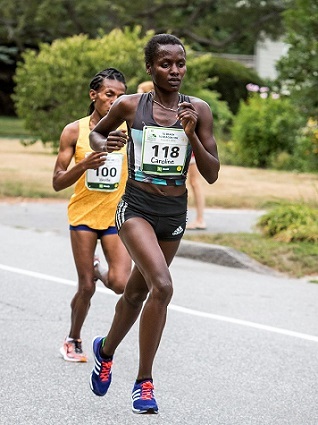 She recorded her personal best 31:37 at the BAA 10K in 2017. Olympic champion triathlete Gwen Jorgensen, 32, is making a stop in Cape Elizabeth on her quest to achieve greatness as a marathoner. A dynamic athlete, the two-time Olympian won the USA’s first-ever triathlon gold medal at the 2016 Rio Olympics. She also was the World Champion triathlete in 2014 and 2015. 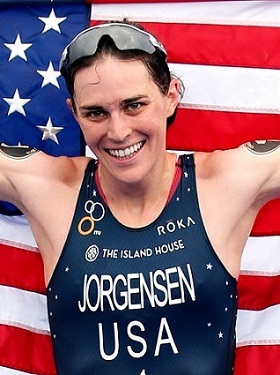 Last fall, a few months after giving birth to her first child, Jorgensen announced that she was retiring from the triathlon to focus on the marathon, with a goal to win Olympic marathon gold in Tokyo in 2020. Jorgensen, who was an All-American in track and cross country at the University of Wisconsin, won a 10,000m invite at Stanford in March (31:55.68), took 4th at the USATF Half Marathon Championship (1:10:58) in May, and finished 7th at the USATF 10,000m in June, 30 seconds behind champion Huddle. 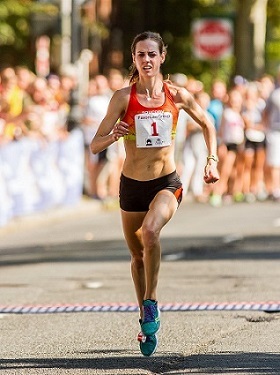 Earlier this month, she took 5th at the USATF 10K Championship at the Peachtree Road Race in Atlanta. Also, Emily Sisson, 26, is back, following a fine showing at the 2016 TD Beach to Beacon, where she was the top American and placed 4th overall (32:21). The 11-time All-American at Providence College has finished runner up in sprint finishes at the last two NYC Half Marathons, including just behind her training partner Huddle at the 2017 race in 1:08.21, the fourth fastest time ever for an American woman. Sisson won the 2016 USATF 10K Championship with a personal best 31:47, placed 3rd at the 2017 USATF 10,000m (31:25.64) and holds the NCAA Indoor 5,000m record (15:12.22). Diane Nukuri, 34, is returning for her sixth TD Beach to Beacon, but her first as an American citizen. She is a three-time Olympian for Burundi and now holds dual citizenship. Nukuri has four Top Five showings in Cape Elizabeth, including runner up in 2015 (32:00) and 3rd in 2014 (31:56). One of the most active runners on the American circuit, she won the 2016 Falmouth Road Race and placed 5th at the 2016 NYC Marathon. Other contenders include Sandrafelis Chebet Tuei, 20, of Kenya, who recorded a scorching 30:57 to win the Valencia 10K in Spain in January; Ababel Yeshaneh, 27, of Ethiopia, who has a PB 30:35.91 on the track and won the 2018 Istanbul Half Marathon (1:06.22); Pauline Kamulu Kaveke, 23, of Kenya, who has a PB 31:47.13 at 10,000m and won bronze at the 2018 IAAF World Half Marathon Championships (1:06.56); Australian Olympian Milly Clark, 29, who placed 18th in the marathon at the 2016 Rio Olympics; Jessica Tonn, 25, a Stanford All-American who won the 10,000m (31:54.83) at the Payton Jordan Invitational in March; and Liz Costello, 30, from Newton, Mass., who placed 6th at the 2015 TD Beach to Beacon and has a PB 31:43 on the track. Emily Durgin, 24, the defending Maine Resident champion, is now a professional runner living in Massachusetts and is no longer eligible in the Maine category. The former Cheverus High and UConn standout trains with Team New Balance in Boston. Earlier this year, she took 5that the USATF Cross Country Championships in Tallahassee and 6th at the NACAC Cross Country Championships in El Salvador. The TD Beach to Beacon celebrates health, fitness and giving back. In 2017, a record 6,887 runners from 18 countries, 43 states and more than 270 Maine cities and towns finished the race. Thousands of spectators cheered runners along the route and at the finish. The race debuted in 1998 with 2,408 finishers.